Advanced hypnotherapy training Newcastle upon Tyne will begin in March 2018 and will be one weekend per month until June. This is eight days of experiential training that will seriously benefit your clients and you. This will be a small self selecting group of only six people who are interested in participating to learn and embody a comprehensive and advanced set of skills and methodologies including aspects of neurology, linguistics, applied economics and spirituality all relevant to hypnotherapy. There is a specific emphasis on the linguistic patterns and methods as defined in works and papers of Erickson and Rossi which expands well beyond the NLP Milton Model. The idea here is with practice to absorb and internalise a whole new world of hypnotic language and story telling and make it your own. Who Is Advanced Hypnotherapy Training Newcastle For? This is specifically for hypnotherapists and professional change workers who want to deepen their skills foundation as well as enhancing and raising their methods of working with clients. There are additional opportunities for participants for personal directed study projects during the course. I have always understood the value of being a generalist. This usually prevents myopic and rigid thinking. By exploring a vast array of different fields and disciplines you will open to new ways of working more effectively for and with your clients. If you are interested in integrating some of the latest ideas from fields such as economics, chaos theory and spirituality into your work this course will most probably delight you. Using Double Binds for hypnotic phenomena and generative change. Advanced Hypnotherapy Newcastle full investment £695. You can secure your place with a £150 non refundable deposit. Clueless about English language and scraping grade ‘c’ made it more easy to become a hypnotic language expert. Posted on January 31, 2014 | Comments Off on Clueless about English language and scraping grade ‘c’ made it more easy to become a hypnotic language expert. Learning English language, spelling and something called ‘grammar’ at school never actually made much sense to me. I was hopeless at spelling and didn’t care that I was hopeless at spelling. I never saw the point of getting all excited or angry ( as some of my teachers did ) that my spelling wasn’t so good. I really didn’t know what nouns, adjective or verbs were until those terms were used on a training course I was attending in 2002. So I asked for clarification of those terms. I saw some people stare in surprise that a 30 year old was asking about basic English. Even if you don’t know the what terms like verb, pronoun or cleft sentence actually are you are using them every day in normal conversations or you are reading about them even now. The secret is inside the structure of how to talk hypnotically. What the real secret really is you already, as a speaker of English, know how to do this. There are a set of common every day words that form the ‘glue’ in the same way that glial cells form the glue that makes the neurons in our brains work the way they do functionally. Using these cards you will very rapidly and experientially learn how to construct, use and maximise you hypnotic language skills. Purchase or find out more about Hypnotic Language Mastery Cards here. Comments Off on Clueless about English language and scraping grade ‘c’ made it more easy to become a hypnotic language expert. Neuro Linguistic Programming training courses from Communicating Excellence in Newcastle upon Tyne. 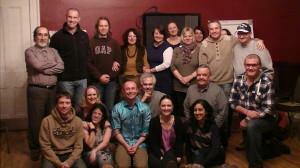 These are the NLP Practitioner Training and NLP Master Practitioner Training. Following on is the Clinical Hypnotherapy Diploma. All place availability for each training course is correct at the time of publication. Before the information regarding the longer training courses, one short course of great interest for all change workers and people helpers will be happening in November 2013. This two day training course with internationally known hypnotist and professional coach James Tripp ( Hypnosis Without Trance ) will take place November 16-17 and is presented in Newcastle as Transformational Conversation. A very unique opportunity for the North East to experience one of London’s most outstanding change professionals! NLP Training Courses : Is This For You? All NLP training courses are not about personal therapy. There are always aspects of personal change and transformation, this is explicit in NLP. An NLP training is not a substitute for therapy. To participate in these trainings and pass the certification requirements you are required to fully participate within your group – this is not a classroom lecture! This is powerful experiential training!! You can easily ensure these trainings are for you by either calling Nigel to discuss your training requirements ( 0770 481 8467 ) or look at Communicating Excellences YouTube Channel to get a sense of how these training work. 9 day training in three three day modules from July-August. An extremely comprehensive and experiential training in Neuro linguistic programming. Ideal for you when you want enhanced communications skills, want to be able to motivate yourself and others and want to generally experience greater confidence, transforming who you are. Take your NLP skills, knowledge and application to the Master Practitioner level. Having already completed an NLP Practitioner training. NLP Master Prac offers you 18 days of structured and very practical training. Beginning September 2013 until February 2014. Following on from NLP Practitioner, get a world recognised qualification (as defined in the Core Curriculum from The Hypnotherapy Regulation Forum to register with the CNHC ) in Clinical Hypnotherapy, Where you can set up your own private practice helping people make real and genuine change in their life, your too! Prospectus and Syllabus available on request. Clinical Hypnotherapy training course in Newcastle upon Tyne to gain a hypnotherapy certification by December 2013. Receive and NLP Practitioner certification and a Clinical Hypnotherapy certification in six months. A certified training in Clinical Hypnotherapy : Beginning July, completing in December. All for £1240. If you already have an NLP Practitioner Certificate the course is ONLY £645. This is a complete and full training you can trust to enable you to be both competent and confident in working as a professional hypnotherapist helping your clients engender positive psychological change. In essence consciousness transformation with an accent on practical applications in the real world. ““Learn Ericksonian Hypnosis” – that’s what you said you want to do, so here’s one of the masters, Nigel Hetherington demonstrating Ericksonian Hypnosis at its finest.” – Jamie Smart author of best selling book Clarity. Provides an experiential, not theoretical, but practical experienced based way to work with clients. You are fully supported during your training and have full access to your training facilitator, so your questions outside of course hours can be answered via email and pier support. Your course tutor, Nigel Hetherington is a very experienced facilitator and full time in practice clinical hypnotherapist since 2005. This Clinical Hypnotherapy training in Newcastle is validated by world class organisations. Nigel, your learning facilitator, works with real clients and offers cutting edge hypnotherapy that works. This training entitles you to join several professional accreditation bodies as a full member so you have the option to have several organisational badges to add to your advertising and public credibility. Communicating Excellence NLP and Hypnotherapy Trainings in Newcastle upon Tyne are validated with The Professional Guild of NLP, The Society of NLP, The General Hypnotherapy Register and John Grinder, Carmen Bostic StClair, Michael Carrol. People like you choose to train as a hypnotherapist for a multitude of reasons. Primarily it is because of a calling to join a profession that is in the business of helping people achieve and expand who and what they are. A few people want this because they want an additional income and whatever your personal reasons and callings are, in no small way you are training to become a process orientated professional who will be able to help and assist our fellow human beings to attain better degrees of personal freedom. “Nigel’s presence cannot not be felt, his energy proceeds incredible knowledge with the most enormous appetite to share which in inspires insatiably. Thank you for the amazing challenges you have offered and the beautiful safety you created to face them up.” – Paula McCormack author of Help Less. During the training you will be offered advice on how to attract clients because there are so very many well skilled hypnotists that are honestly ready and competent yet are not advertising well. This is a two part process of being skilled and following a process to make a good living doing what you love. And this really does take effort and work. The courses that promise the world and clients falling on you to make changes, like the books that promise a best seller in 21 days or less are not real. It takes time, dedication and real effort to build a full time practice. Guaranteed ZERO RISK: If after the first two days of the training you find NLP is not for you then you can have your money back no questions asked. Choose Clinical Hypnotherapy and NLP Certification Training if you don’t yet have an NLP Practitioner certification. Please note any ON-LINE certifications are not acceptable in this instance. Your deposit is a non-refundable £150. Miss the training and you are transferred onto the next one. Balance of fees due before the training begins. Venue : Jesmond Dene Conference Centre, Newcastle upon Tyne. One of the most important aspects you will find out about on an NLP Practitioner training is that EVERYBODY lives in their own MODEL OF THE WORLD. This is a kind of psycho-cultural jargon that really needs to be explained and exemplified. a key stone in sponsoring better and improved relationships and all the fruits this can offer. Specifically the improved relationships you want with your children, your partner and you peers and possibly even yourself. I have recently worked with a very bright and transforming young person who is very much in the process of orientating and integrating their own ideas, beliefs and rationalisation in the mist of a very messy divorce between their parents. I think very sadly, as reported, said person, is receiving contradictory messages, matter of facts and damming accounts that are funnelled in a kind or Either Or way. No child should be required to endure this kind of push me, pull you in this context. Thing is they are, so, how can this be transformed into something much more constructive and generative? To take a step back,briefly, before going forward, another way to attempt to get this idea across was made very famous by Lord Alfred Korzybski in his works related to language and how it conveys, or tries to, relate language to experience and the meanings people make from experience. OK here we are again. What Alfy said was “The Map Is Not The Territory.” And everybody has their own individual and to some very large extent culturally shared maps. A very recent BBC ‘news’ item delivering information about the current situation in Syria came to mind. This can be interpreted or made sense of like this. Our words, our memories our beliefs and internal mental maps, cultural and individual, that are quite literally constructed or made up so that we can in some way make sense of our experience in our immediate environment. Our brains or more accurately our whole nervous system is geared up to abstract or assimilate the cultural norms of our society. It is very easy to look upon what is happening in Syria with disdain or contempt for a pretty disgusting use of sentient beings by sentient beings. But, look into the past ( less than 100 years ) of the racial hatred between factions of people in Northern Ireland. One persons terrorist is another persons freedom fighter and both while probably having similar ethnocentric values and beliefs have radically different values and beliefs when projected on warring factions. Jean Piaget, a famous developmental psychologists research states people mature through four stages of emotional, cultural and necessarily behavioural development. These are known as Sensory Motor ( 0-2 ), Pre Operational ( 2-7), Concrete Operational ( 7-11 ) and Formal Operational ( 11 to adult ). What this means is through a natural series of normal evolutions we all go from ego centric to ethno centric to free thinking adults. 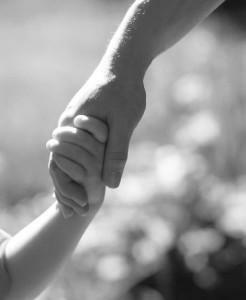 At the stage of Concrete Operational, young children learn that their view or perspective is not the only one. This stage involves taking on the perspectives of other people. At the Formal operational level, young adults begin to be able to think about thinking and it is at this stage, become aware that they can introspect about cultural, familial and ethnocentric beliefs. Having discovered that one perspective will not and can not fit all, we are able to take another’s perspective. We are in the privileged position to be able to, through imagination, knowledge of culture and identification of other peoples values and beliefs ( which as as concrete or flimsy as our own ) to momentarily play at being someone else; taking on their beliefs,values, concerns and righteous ( as ours ) behaviour. By being many-perspectival we can do compassion. This does NOT mean all views or perspectives are equal, it means we can more better appreciate and respect where someone, anyone is coming from. This very deep and very human understanding, or compassion, can be sponsored with a variety of NLP techniques such as ‘Perceptual Positions, Dilts’ Meta Mirror, Metaphors or stories that create the vicarious experiences of often very deep and realisations that help us grow as generatively as human beings. This requires a next step which is both less and more easy. This is about discovering the purpose or intention that drove another person ( or you ) to act in a certain way. Perhaps a topic for another post. Simple to sya this is ALL about understanding that motivations and drives are expressed in various forms. When the forms don’t seemingly match we are into the space of negotiation. Thank you for reading. Three NLP Training courses are available during the year. January to June is 18 days, April is 9 days over three modules and one later in the year. NLP Practitioner training is a prerequisite to Clinical Hypnothrapy Training in August. All NLP courses in Newcastle are the same price. Hypnotherapy training in the North East in Newcastle upon Tyne with Nigel Hetherington. Clinical hypnotherapy training begins each year in August and is ten days in duration. The entry requirement for hypnotherapy training is an NLP Practitioner certification or equivalent. Many people who join Communicating Excellence hypnotherapy training are already in the business of professional change. This will range from body work professionals to people who as part of their job are assisting people make real change in their life. This includes counsellors, psychotherapists, police officers, dentists, social workers, human resource managers and practising hypnotherapists who want complementary techniques to add to their skill sets. To be fully certified as a clinical hypnotherapist you will complete the following in addition to continuous assessment during course time. Clinical hypnotherapy training is over five months beginning August and completing in December. Each module is two days per month, Saturday-Sunday and will build on the principles of NLP Practitioner training. The pricing is transparent at £645. Again, entry level requirement is an NLP Practitioner training. 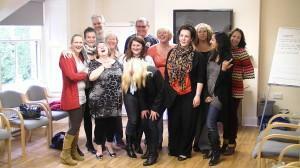 NLP Practitioner training with Communicating Excellence has several formats to suit you and your life style. They all have the same price and differ in the time commitment and number of days training. All courses have time in between the training days so you can more fully integrate and ground the skills you will be developing. It is really important that you get a feel of who you will be training with. It makes sense you should because all trainers and facilitators have their own unique style during training. You can do this by checking out Nigel Hetherington on YouTube NLP and Hypnotherapy ( 115 Plus DVD uploaded ) this way you can choose who will be best for you in transferring knowledge and experience. Hypnotherapy training course with Nigel Hetherington in Newcastle upon Tyne. An experiential and in depth training hypnosis where you will learn psychological change techniques, powerful forms of hypnotherapeutic communication and develop you own style of application inside robust processes. Clinical Hypnotherapy training course begins in August 2013. Clinical Hypnotherapy training in Newcastle upon Tyne. Includes a full NLP Practitioner training. A healing and transformational hypnotic metaphor. 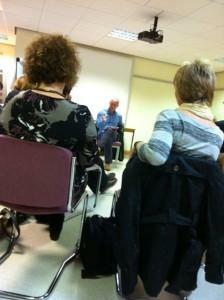 Recorded during the Newcastle Clinical Hypnotherapy training in October 2012. A complete training in Clinical Hypnotherapy from January to December 2013 including a full NLP Practitioner training for ONLY £1200. An advanced course for practising hypnotherapist’s, therapists, counsellors and people helpers who want the solid skills that can not only really benefit your clients but give you an experiential and procedural edge over other therapists and an even greater range of flexible meta skills you can employ in your everyday practice as well as your life. Next course begins 2013 Newcastle upon Tyne. Comprising a gestalt of improving your affectiveness by being structured yet unconventional The Clean Therapy ™ Model has four corner stones that deliver a tremendous range of freedom and options in choosing a client centred way to treat your clients. Help you clients with more ways to get them get unstuck and moving in the right direction. Firmly grounded in a four quadrant system of Metaphor, SubModality, Linguistic and Physicalised interventions you will have a greater depth of experience and tools to help more people faster. The fifth axis of The Clean Therapy™ Model is the amalgamation that is born from the four foundations when applied systematically and with purpose. This is backed up with a practice of existential psychological / spiritual to neurological methods of what works and why. This is a model of not just what does work but what can work to create and sponsor generative change in all your clients. All graduates will receive a certification in The Clean Therapy ™ model and Advanced Clinical Hypnotherapy. Practising therapists, hypnotherapists, NLP Master Practitioners or therapy / change work professionals. This course will be run over five months at one weekend per month. Allowing for proper integration of new skills. Direct experiential learning and demonstration, practical application with case studies and clinical supervision. You already know how to use physical ( 2nd position rapport ). Learn how to correctly and safely apply micro muscle modelling to get more information at the non-verbal level from your clients. Know your level of rapport. Understand the real importance of setting frames to direct you therapy sessions for your clients and your own benefit. Frames set up conscious and unconscious vectors of attention while focusing unconscious resources. Discover and enhance your own unconscious relationship. Learn how to set filters to direct your own resources and harness the true power of your unconscious – intention. Learn ‘N’ step reframing to set your own goals and outcomes as well as how to monitor the results. You and only you are responsible for you own state. Neuro-Contra lateral, flow-state games and exercises along with self anchoring to ensure you are in the right state to operate as a hypnotherapist. Bring your own amazing resources on-line. Learn how to communicate to your clients unconscious using NVC, learn how to mark and anchor the responses you require from your clients unconscious ecologically. Learn how to notice all your clients unconscious communication and elicit the best therapeutic responses from you client. Calibrating is the bread and butter of a effective therapists skills. Learn how to increase your calibrating skills and capability with drills and exercises. Calibrate your clients unconscious responses to tailor your therapy to them real time. Learn how and when to use provocative questioning to create unconscious responses you can utilise and calibrate. To engender the right atmosphere for client change you need to walk your talk and be perceived as a congruent therapist. You achieve this by matching you confidence to your skills and becoming an even more congruent practitioner of hypnotherapy. With self manipulation and anchoring with structured exercises you can get you posture, voice and countenance working for you. Learn how to use your body and voice with a real conviction tempered with your developing skills. Using language with more purpose to support and presuppose the changes your clients want and need whilst opening honest options and validation of all aspects of a current situation. Deliver multiple levels of communications during conversation and trance with stacking meta-isomorphisms and meta-polymorphisms and overlapping repetition to ensure your invitations to change options are really considered. The way we internally represent our experiences, beliefs and expectations for things we love, like and are good at can be directly mapped and transformed from the problem areas of life and experience. A congruent internal shift can bring about acceptance and skilful handling of problems situations and states. Learn how to create spontaneous metaphor that key’s into aspects of your clients situation evolving into a feast of learning for their unconscious mind to digest and fuel beneficial change that is coupled with conscious realisations and updates that support healthy and meaningful activities which support generative change. Deliver multiple descriptions of changing metaphorical content wrapped inside a triplet of paralleling concepts. Used to induce deep trance and deploy learning and opportunity for change across multiple parallels – leaving maximum choice to your clients unconscious to pick the changes and learning that are right for them – maximise your effectiveness by using your body and voice with tangible congruence. Recapping on the session and using the meta model along with post hypnotic suggestion to bring about holistic realisations and change in the post hypnotic or waking state. A therapeutic process wherein your client through some ‘task’ is exposed to an experience that creates a counter example to the limiting belief ( cause effect / complex equivalent / filter ) that is the cause for your therapeutic process – outside of conscious awareness; that is hidden in the task. Creating a meta process or model where you apply you new skill set in such a way that you continue to develop as a brilliant practitioner and your clients are treated as quickly as is ecologically practical. Who is this training going to benefit? This ten day training experience over five months is designed for Clinicians, Therapists, Counsellors, Hypnotherapists, Social Workers, Doctors, and all Professional People Helpers who can then use these process based neurological methods to assist their clients make postive and generative change and de-potentate problematic ideation’s, behaviours and emotional wounds .